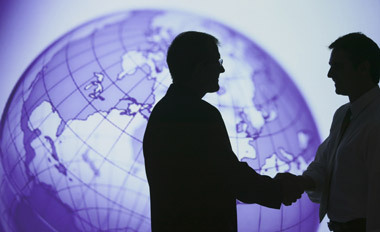 Also, an LPL affiliate forms an RIA partnership to attract new reps to its network. Advisor recruiting remains active in mid-'15. Wells Fargo Advisors (WFC) says it recently picked up four ex-Morgan Stanley (MS) advisors with combined client assets of about $220 million. Munther “Mike” Abdallah and Rick Sofiak have joined Wells Fargo Advisors’ office in Orland Park, Illinois, as first vice president of investments. They join from Morgan Stanley, where they managed more than $100 million in combined client assets. Sofiak has 27 years in the industry, while Abdallah has 23 years. They report to Chicago Southwest Market Manager Kevin Ortmeyer. Abdallah joined Kober Financial in 1991 and later moved to Lehman Brothers and Merrill Lynch, before joining Morgan Stanley in 2006. Sofiak worked for American Express and IDS Life prior to signing on with Merrill in 1991. He also moved to Morgan Stanley in 2006. Lee Turmail and Jesse Miles have joined Wells Fargo Advisors in Boca Raton, Florida, from Morgan Stanley, where they managed more than $120 million in combined client assets. Turmail has 17 years in the business. He worked for IDS Life and American Express/Ameriprise (AMP) before moving to Merrill in 2006 and Morgan Stanley in 2009. Miles began his work in the industry in 1988 at PaineWebber; he joined Morgan Stanley as an advisor in 2004. LPL Financial said early Thursday that Faubourg Private Wealth Advisors is now using its broker-dealer platform and is providing fee-based services to clients through Level Four Wealth Management, an independent advisor group serving more than 120 independent advisors with LPL’s RIA platform. “We welcome the Faubourg team to the LPL platform and are pleased that they have chosen our firm to support their business in their move to independence,” said Steve Pirigyi, executive vice president of business development at LPL Financial, in a statement. Faubourg includes three advisors, about $175 million of client assets and was started by veteran financial advisors formerly serving bank-based private clients in Metairie, Louisiana, and the greater New Orleans area. Founding partner Tyson Vanlandingham, for instance, went into the business at Morgan Stanley in 2001. His group was most recently with JPMorgan (JPM). In late April, Todd Feltz, president and CEO of LPL-affiliated Feltz WealthPLAN, launched an RIA, WealthPLAN Partners, to allow its advisor to obtain a stake in the firm. “I am extremely passionate about providing our clients with a steadfast financial planning strategy that has evolved over multiple decades of analysis, but I also wanted to share our strategy with other like-minded advisors,” Feltz said, in a statement. “WealthPLAN Partners has brought together some of the brightest advisors and thought leaders in the industry and we have developed a level of intellectual capital and collective synergy that we are really proud of. We invite advisors who are looking for a greater sense of community to join us,” he said. WealthPLAN Partners says it “is actively recruiting advisors to join its ranks.” The firm recently welcomed the addition of Silverleaf Wealth Management, a full service financial planning firm based in Omaha, to its network. Previously affiliated with Waddell & Reed Inc., the Silverleaf team includes advisors Justin Gibson, Curt Krueger and Joel Wing. The group manages roughly $220 million in client assets. WealthPLAN Partners currently has 15 advisors and some $1.5 billion in combined assets under management and assets under advisement. Also, it has offices in California, Colorado, Nebraska and New Jersey. It has been an affiliate of LPL Financial for more than 25 years. — Check out Duke’s Coach K: Lessons on How Advisors Can Build the Best Teams on ThinkAdvisor.